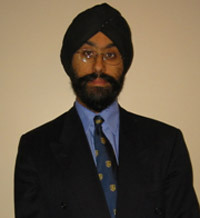 I was appointed as Consultant Cardiologist at Ealing Hospital and Hammersmith Hospital in 2003. I specialise in Interventional and General Cardiology. I trained at Guy's and St. Thomas' where I qualified in 1992 with BSc. Hons. I completed my PhD at the William Harvey Research Institute, Queen Mary University of London in 2002 and a MBA with the Open University (passing with merit in modules of Strategy and Creativity, Innovation and Change). I was appointed as Honorary Senior Lecturer, Imperial College, London in 2005. My practice includes all aspects of adult general cardiology and I have a special interest in CT coronary angiography. I have excellent outcomes for coronary intervention at Imperial College NHS Trust and provide a high quality, high volume CT coronary angiography service at Ealing hospital and the Syon Clinic.